Reasonably stylish, definitely portable, interesting concept – and, unfortunately, not terribly practical. But on the bright side, we can use this opportunity to reminisce about 80s “ghettoblasters” as Philips calls this, and snicker at their ad copy. Result! Image courtesy Philips. 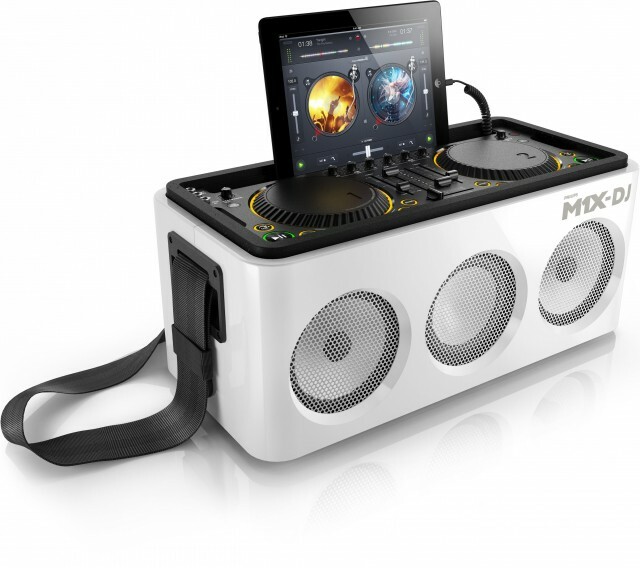 This time, what you get is an all-in-one iPad dock with DJ control surface with speaker. That in itself seems not such a terrible idea, but then the problems start. Apart from the usual concerns about obsolete dock devices, the dock slot here places the iPad in an uncomfortable vertical position. There are physical controls for DJing, too, integrated with the (rather excellent) DJ app Algoriddim djay. But as a boombox, the awkwardly-named M1X-DJ is expensive and underpowered: EUR399.95 buys you just 80 watts of sound, in a box that fails to give you any stereo separation. 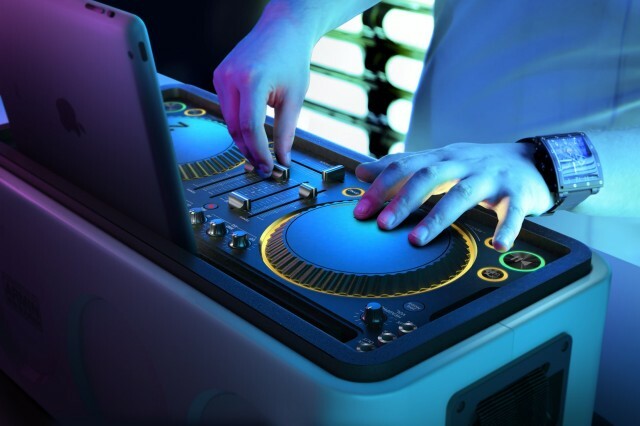 At least the speakers appear to face away from the DJ and not only toward, but it’s unclear how any element of this all-in-one combination is helpful to anyone. More like this, please. Really. (Skip the Philips/Armin business to the end of the story for some nostalgia.) Photo (CC-BY-ND) Sean Davis. Of course, there are other solutions to this problem, broadly falling under the product category of “speakers.” If your budget is five hundred bucks, serious users and amateurs alike will easily find better choices. Boombox with drum machine. 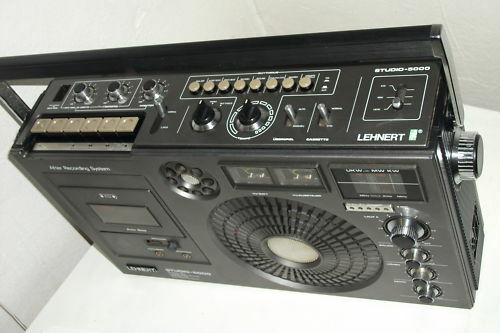 There’s the Lehnert Studio-5000 / Tensai Rhythm Machine CR-390 from 1977/78, which incorporated a rhythm generator / drum machine with analog circuitry. Boombox with synth. 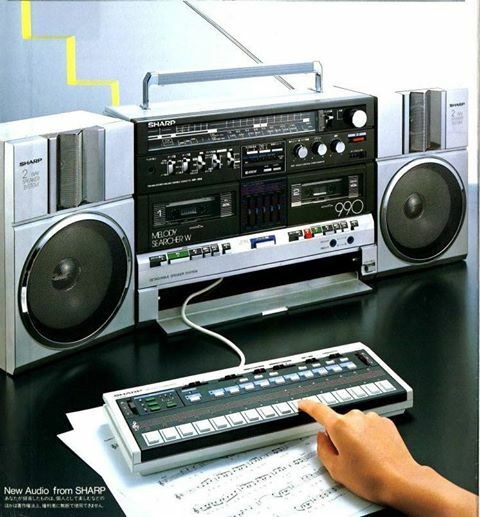 Apart from the usual (and impressive) complement of standard features on 80s boomboxes (dual cassette, dual-band radio, aux jacks), the Sharp MR-990 tucked a small keyboard synth with pattern sequencing features into the case. I’m the operator with my pocket … yeah, you know. 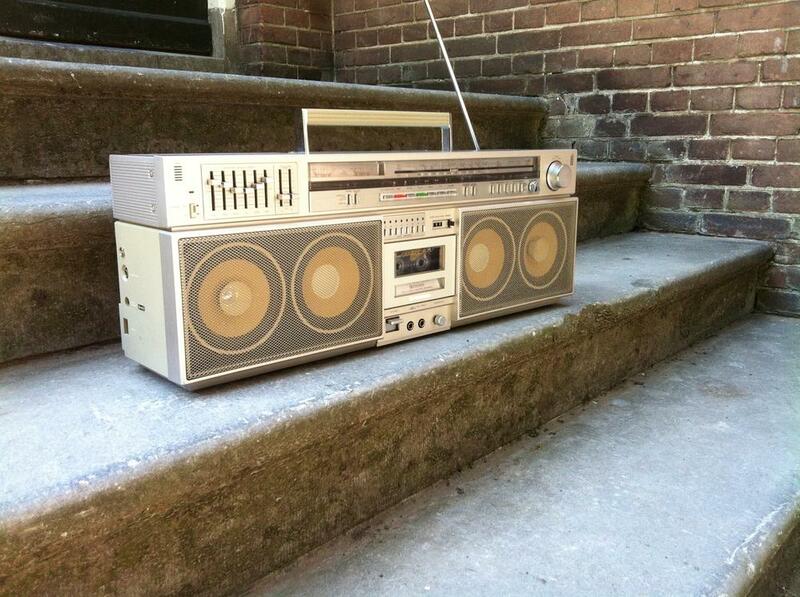 Boombox with built-in turntable. Sharp was apparently happy to combine anything with a boombox. (Toaster oven, maybe?) Not one but three separate Sharp models came with built-in turntables: VZ-2500, VZ-2000, and VZ-3000. As seen on Boing Boing. 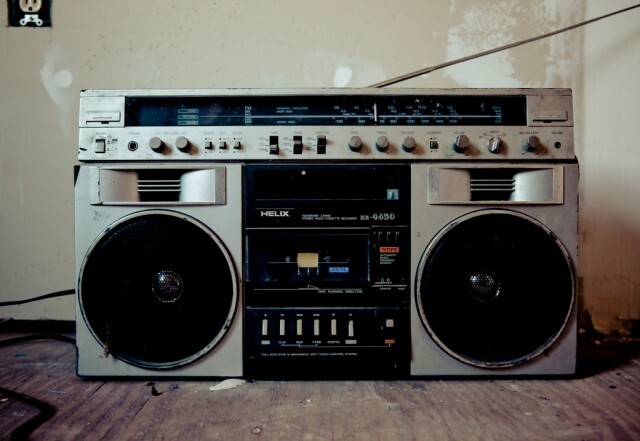 Boombox that can actually blast. Without any gimmicks, there was the brilliant Pioneer SK-909 – massively heavy and luggable, but with big, beautiful speakers. Seen on a forum, complete with notes on repairs. For more historical information – and tear-inducing nostalgia – there are some great resources out there. Mr. Owerko’s interest grew into a book, “The Boombox Project: The Machines, the Music, and the Urban Underground,” published this month by Abrams Image. It features his lovingly detailed close-up photographs of vintage portable stereos, as well as commentary by Spike Lee, L L Cool J and members of the Beastie Boys and the Fugees about the role the devices played in New York’s street culture from the late 1970s to the mid-’80s. See also Love is a Mixtape by Rob Sheffield (warning: auto-plays music), and, in an interview with America’s NPR, Thurston Moore on the book he edited, Mix Tape: The Art of Cassette Culture.